AN SAS unit has taken out an Islamic State (ISIS) stronghold near Mosul in Iraqi, saving 12 kidnapped children who were being earmarked for suicide missions. ISIS leaders are said to have been planning to use the children in ruthless mass murders as the terrorist organisation planned an attempt to counteract the assault on the city of Mosul by forces. The mission undertaken by the SAS took place three weeks ago as part of a larger planned assault on the besieged city. The children were saved after a sniper took out the ISIS commander and some 30 militants are believed to have been killed in the ensuing skirmish. Iraqi civilians who had managed to escape from the camp told British forces that kidnapped children were being held there and were being forced to become suicide bombers. 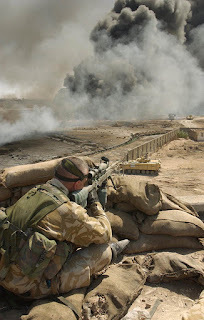 The SAS marksman took out the leader of the camp with a .50 Cal Barrett M82 rifle whilst he briefed two would-be suicide bombers on a mission. Grenade launchers and machine guns were then used by the SAS in the ensuing four-hour battle in which British forces overran the compound. The unit discovered around a dozen children being held captive, locked inside a stable. The British troops also uncovered a bomb making factory along with around 50 suicide vests, including ones in children’s sizes. A senior military source said: “The battle was ferocious and the SAS were heavily outnumbered but they knew the terrorists would kill the children if they withdrew, so they stood their ground. “These are hardened warriors but what they found reduced many to tears. “It was a suicide bomb factory from which scores of children had been sent to their deaths. A recent report showed that the terrorist group carried out at least 923 suicide operations between December 2015 and November last year. Around 84 per cent of those were said to be focused on military targets with the rest being aimed at civilians. Most of the attacks used a vehicle packed with explosives but scores of attacks used children who had been kidnapped and forced into the mission. The military source added: “The suicide bomber is now ISIS’ most potent weapon. The action by the SAS troops is part of a larger offensive by coalition forces to liberate western Mosul. 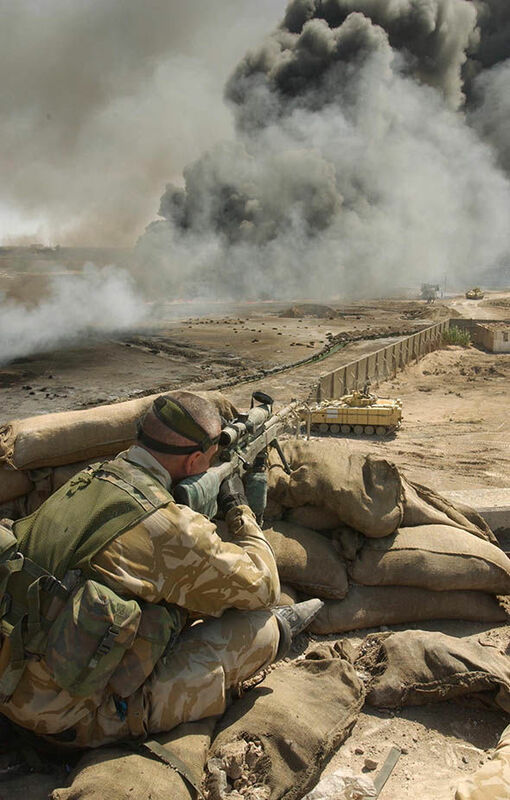 British forces have linked up with US Green Beret and Delta Force commandos in an assault on the city which is has been under the control of ISIS since June 2014.